Do you believe in signs, messages from some metaphysical realm, personally addressed to you with no return address? The ancients gave signs much credence. The Bible is full of signs. Although I no longer believe in gods/goddesses/or much of anything labeled “woo-woo,” I do record in my journals all of the “signs” that have appeared in my life. Call them what you will. If we are responsible for creating meaning in our lives, we certainly have the right to imbue these incidents with such meaning. Synchronicity is a good word for these events. “Synchronicity is the experience of two or more events as meaningfully related, where they are unlikely to be causally related. The subject sees it as a meaningful coincidence, although the events need not be exactly simultaneous in time. The concept of synchronicity was first described by Carl Gustav Jung, a Swiss psychologist, in the 1920s. Because these synchronicities are so mysterious, even the most devout agnostic is forced to question how they happened to appear in his/her life at that exact moment. For a believer, there is no question at all…they were sent directly from God. I would like to share three synchronicities from my life and journals. 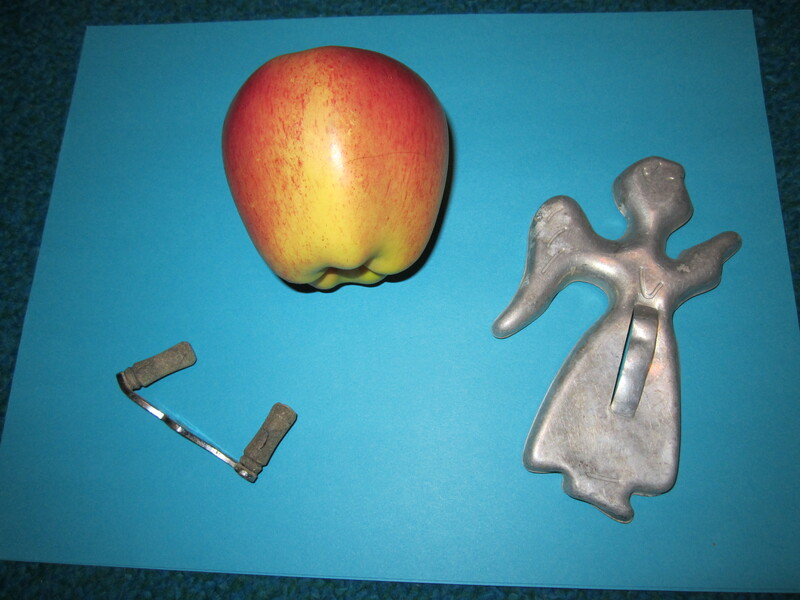 First, the cookie cutter angel: May 2004, during a period of overwhelmingly exhausting work on the farm, with choices about my future heavy on my mind. My Aunt Lois had just passed away and it was near the anniversary of Gram’s birthday. I suppose the chickens unearthed this buried archeological treasure in their scratching. It had been there a while and seemed old. The angel did not help with the farm work or point the way to a particular choice, but she did come just when I needed a comforting hand on my shoulder. Getting a handle on it: Entry not found. Once again, life was difficult for me. One of my favorite expressions from the sixties has always been “getting a handle on it.” I was out in the garden, doing some self-therapy through gardening, thinking about how I really needed to pull myself together. And then, there it was. A handle. A handle in the garden. Now where on earth did that come from? I thanked the universe for trying to be of help. It gave me a handle. So those are just three of my pretty unusual experiences, experiences where it felt like I was given a sign. Anyone else with mystical coincidences?